When it comes to flooring, the first name that comes into mind is Abbey Carpet. This well reputed company excels in offering a wide range of flooring solutions. Its mega showroom has been operating in Naples for more than five decades. Quite naturally, it has become synonymous with great flooring solutions in this area. In this post, we will look at some helpful lessons to learn from the flooring business if you are looking to be a business owner. The Abbey carpet and floor franchise now has over 800 showrooms. With a large network, a franchisee would have the ability to buy materials and flooring at discount prices. You would have access to well established partners, suppliers and distribution channels. Moreover, the franchise company allows you to own the store locally. This gives you control to tailor the store offerings to the demands of your local area. If you want to start a carpet franchise, the Abby Carpet and Floor franchise could provide national buying power with the flexibility of a locally owned location. Abbey Carpet & Floor has been supplying suitable flooring and window fashion since 1958. Its expansive 20,000 square foot showroom is one of the largest floor covering showrooms in Southwest Florida. It features products sourced from 200 flooring and window fashion brands. What’s more, Abbey Carpet Naples’ product range includes hardwood, natural stone, tile and broadloom carpets. They are also experts on business improvement. Following the command of changing time Abbey Carpet has started providing its products online. This has widened its market reach. Throughout the years, the company has continuously sourced products from trusted and popular brands. It updates showroom and online inventories regularly, keeping up with client demands. Entrepreneurs, planning to start specialty retail stores, can learn some business techniques from Abbey Carpet Naples’ instance. With more than 8000 samples of carpets and 5000 styles of area rugs to choose from customers are spoiled for choice. In attempt to simplify home decoration, Abbey Carpet employs number of expert staff who help buyers in selection and vendor management. Its professional installation team ensures proper installation of purchases without wasting client’s time. Attention towards client satisfaction combined with numerous affordable choices has helped Abbey Carpet Naples outshine competitors. Moreover, its North Naples Chamber of Commerce membership establishes credibility and evokes trust. Certainly, Abbey Carpet Naples has optimized both online and offline platforms to offer best in class flooring. Another excellent lesson to learn from the success of Abbey Carpet is the company’s widespread availability. Whether you live in Florida or New Jersey, there is a flooring solution store near you. This is excellent for business owners to see and take note of. As you business grows, so too will demand for your product. It is important to recognize when your business has come to this point and capitalize on your recognized name in business. Whether you decide to look into how to franchise your business or you just want to open another nearby location, it is important to learn from this successful business. Make sure that when demand grows, so too does your company’s location availability. Abbey Carpet & Floor makes countless flooring options available with the aim of improving interiors. Abbey Carpet Naples lets customers choose from US based flooring brands as well as exotic designer imports. They usually match the lifestyle and budget of clients with ease. Matching is easy because the company has huge stock of flooring in four main categories, namely hardwood, stone or tile, vinyl and laminates. Specifically, its exclusive flooring brands include American Showcase, Alexander Smith, Legendary Beauty, Infinity, Softique and The Premier Stainmaster. Apart from these, this company also carries flooring in every category from famous manufacturers across the world. If you are looking for something specific, they can help you find a manufacturer of your choice. In its showroom, customers can choose from 20 in stock stones, sourced from different corners of the world. Moreover, Abbey Carpet Naples allows customers to customize the color, texture and appearance of hardwood flooring. Countless varieties of flooring and carpets make Abbey Carpet & Floor the popular choice of consumers. Free Estimates: The customer centric company makes selecting carpets and flooring as easy as possible. Their professional flooring consultants measure customer’s rooms, free of charge, enabling them to choose appropriate flooring. Lifetime Warranty: Abbey Carpet Naples offers lifetime warranty on broadloom carpet collections from Infinity Nylon Carpet Fiber, American Showcase, Alexander Smith, Premier Stainmaster, Softique and Legendary Beauty. This lifetime warranty ensures the buyer’s peace of mind. Trained Staff: Its qualified showroom staff are trained to understand what customers need, guiding them to select the best flooring within their budget. State-of-The-Art Website: With its easy to navigate website, customers can get helpful guidelines on selecting floors and place orders online. 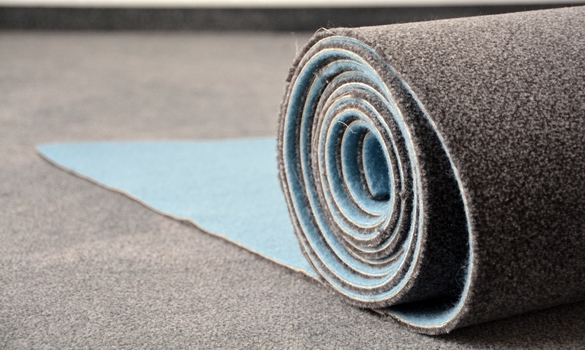 Professional Installations: What’s more, Abbey Carpet Naples also handles full service professional flooring installation through expert installers. Certainly, Abbey Carpet & Flooring is an exceptional locally owned business in Naples, FL. It exemplifies how values, service and selection can help a retail business achieve sustainable growth. Whether you are in the flooring business or another merchandise business, you can surely take away something from their success.